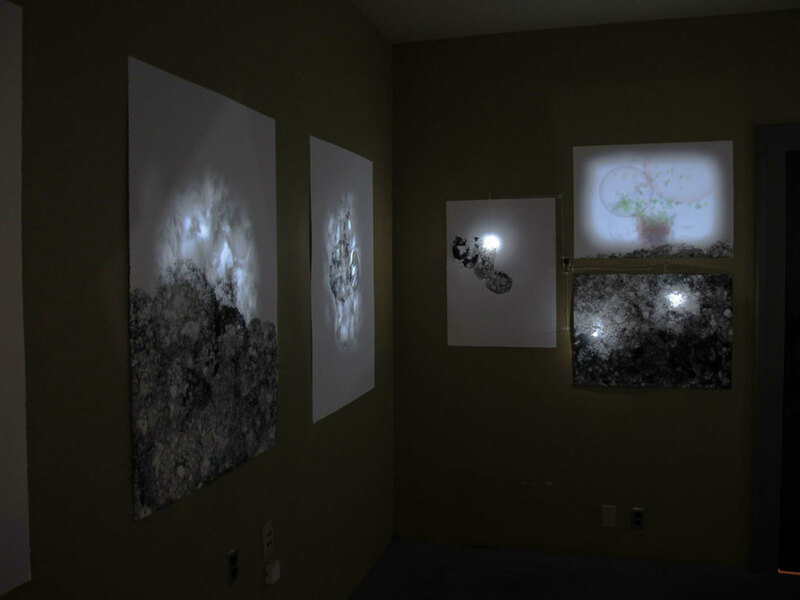 The installation consisted of a small room containing twelve ink prints, four of which housed projection mapped output from a dynamic simulation. The simulation was an autonomous system based on the characters and interpersonal connections from the novel. The simulation was tuned to unfold over the course of three hours, starting in a very simple configuration and ending up in a massive swarm of character instances. Initially only a single instance of each character exists, over time, interactions within the system yield new instances, and old instances die and accumulate in the simulation. A selected set of portrait photography from the creative commons was built into a dynamic collage based on the simulation and projected into the ink prints around the room.